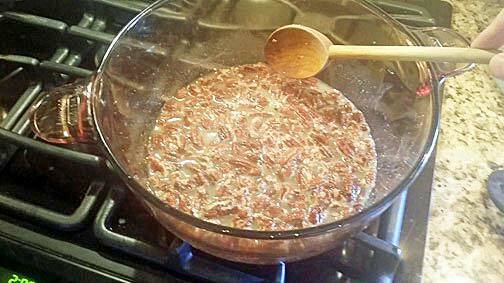 BEST Pecan Praline Recipe Ever - The Quest Begins! 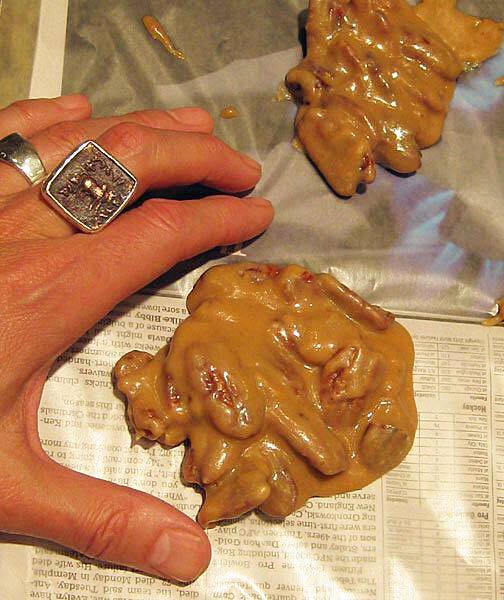 My quest for the perfect pecan praline recipe started a long time ago. When I was young and still living at home, my family would take long car trips every summer that lasted for weeks. Once we drove from Los Angeles to the tip of Baja, California, took a ferry to mainland Mexico, and drove back visiting many of the main cities of the country. Another summer vacation, we drove all around the Southwest exploring the reservations and driving across the burning desert. Another time we drove the entire West coast along the ocean and another summer we drove to Chicago via a longer route through the deep south. (This is just one of the reasons corporations no longer give employees company cars!) It was along that trip through Louisiana my father and I fell in love with pecan pralines. The perfect pecan praline recipe search had begun. It seems like every Christmas I hunt down praline makers across the country trying to equal that first experience of the greatest pecan praline ever. Unfortunately, we've never quite found it. Perhaps that first experience really was the greatest praline in the country or perhaps our memory has falsely raised it to heroic status because the quest continues 35 years later. Often, instead of buying pecan pralines, I stumble across a recipe during the year and give it a try as a gift to my father for Christmas. That was the goal this Christmas as well, however,s it sure was a circuitous route! I started with what I thought was the perfect pecan praline recipe from a few years back but this time the pralines turned out horrible: super grainy and hard. A few days before flying to visit my parents for the holidays I remade the recipe again with minimal, if any, success in cracking the praline code, drats! 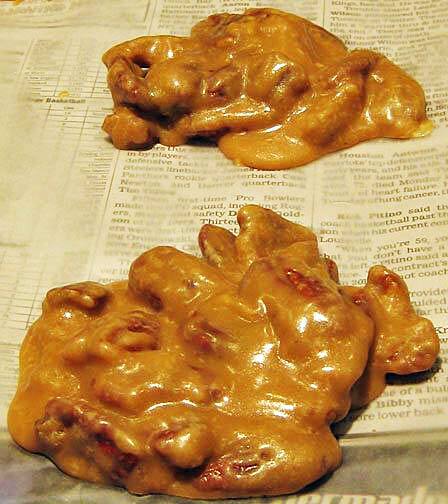 So the days before Christmas, I looked over numerous online recipe forums and watched hours of YouTube praline making videos rating their skills (and credibility) of their masterful claims. After hours of scanning, searching and forwarding, I came across what appeared to be the Holy Grail. Is it possible? Here in the depths of the digital age lie the secrets to the perfect pecan praline recipe and her name was "Momma". No, she isn't fat and a know-it-all but rather a camera shy Joyce sharing her family Louisiana praline recipe that is at least as old as her great grandma. I like that she isn't a spring chicken. Many of the other videos were from owners of praline shops that weren't sharing the recipe (just a video making them) or young people, many without ever trying a New Orleans style "praw-leen". If you want to watch Momma cook, below is her sweet video with her daughter interviewing her. Further below is her transcribed perfect pecan praline recipe (by me). 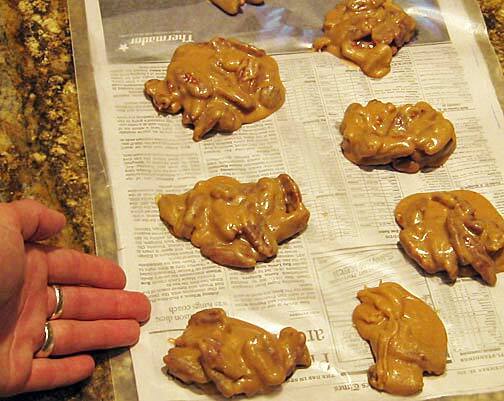 Come On, Give me the Perfect Pecan Praline Recipe! After five attempts this December alone, this is by far the best and simplest recipe. However, I will definitely experiment with the recipe further in upcoming kitchen fetes. I'd like to double (or triple!?) the vanilla and see how that tastes. I'd also like to try toasting the pecans first. Putting them in at the beginning as suggested by Momma, didn't roast them as much as I was hoping. Also if you're a soft praline lover, more butter causes softer and opaque pralines, less butter, clearer and more brittle. Put the sugar, pecans, and milk in a heavy skillet on high fire. 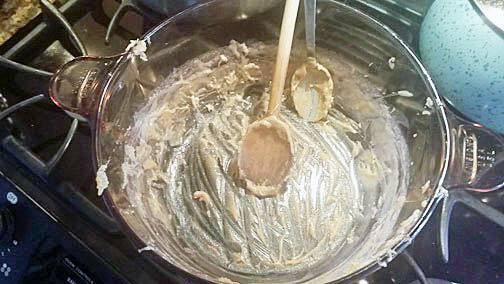 When the mixture begins to boil, lower it to medium-high (8 out of 10 on an electric stove.) Stir constantly with a wooden spoon. Momma sometimes adds a quarter teaspoon cream of tartar at this point. It'll be about 10 minutes of cooking from this point. Stir, stir, stir and keep that boiling rolling. You'll soon notice that the mixture begins to "leave the pot", which is what Momma calls the mixture sticking together and leaving a trail behind the stirring exposing the bottom of the pot. We let the pralines cool while we washed the dishes and by that time, the pralines were ready. They remove quite easily from the waxed paper and before we could set them onto a plate, half of them instantly disappeared. Magic! (Yes, we are national touring magicians but we didn't use the dark forces to make them disappear!) Smooth, shiny, and scrumptious. Happy experimenting with the fabulous and perfect pecan praline recipe, and thanks, Momma! The pralines aren't always there as they are cooked in small batches but if you're lucky enough to be there when Lupe has them in stock, they are DELICIOUS. My dad usually buys a dozen of them and then hides them from the rest of the family. It's his secret little medicinal stash. "Soul food" he calls them. Be sure to try some of her other candies, delicious Mexican sweets. 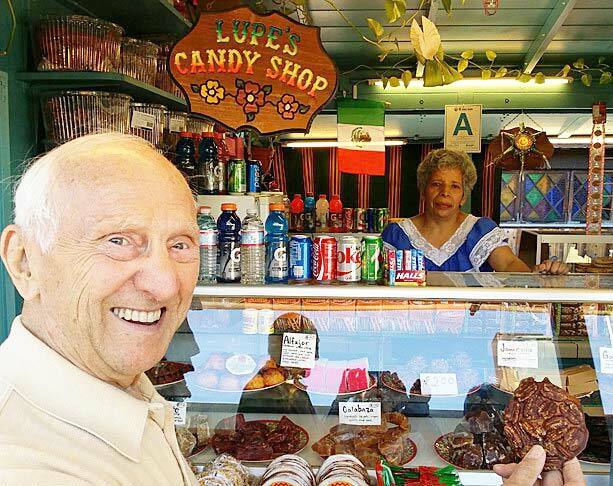 Here's a picture of my elated dad in front of Lupe's candy shop. Please tell her "hi" from us and thank her for her perfect pecan pralines! Dad in front of Lupe's Candy Shop downtown Los Angeles, California. UPDATE for an even better Pecan Praline! BEFORE: Pecans, milk, and sugar just starting to get hot. Are you ready? After several more testings, we have a few suggestions to ramp up your pralines to the next level. First, really toast those pecans. Of course, you don't want to burn them but get that pecan oil hot and fill your kitchen with wonderful pecan odors. Your taste buds will appreciate the early work to improve the flavor of your pralines. We also tried 3 teaspoons of vanilla which doesn't taste more vanilla-ish but rather just richer. Just in case pure sugar candies aren't rich enough! AFTER: licked and ready for a nap.